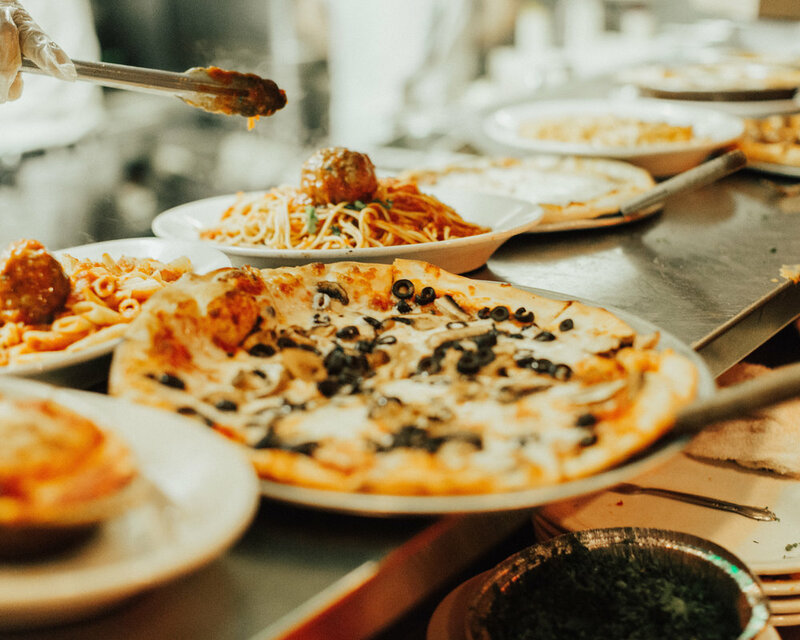 Mama D's Italian Kitchen | Mama D's Italian Kitchen | Orange County's favorite family restaurant just got a digital makeover. Toasted olive oil and garlic bread with pomidoro-style tomatoes, basil and mozzarella. Our seasoned bread crumbs, fresh herbs and tiny mushroom pieces. Lightly breaded and fried, served with our homemade marinara. Lightly floured tender fresh calamari, fried and served with marinara. Choice of Mama D’s Italian, Light Chardonnay Italian, Creamy Italian, Ranch or Bleu Cheese. All salads available chopped upon request. Iceberg and romaine lettuce, tomato, carrots, garbanzos, cucumbers, mozzarella, pepperocini and olives. Fresh buffalo mozzarella, Roma tomato and basil with balsamic and olive oil. Italian garden with assorted Italian cold cuts and cheeses. Romaine, homemade croutons, freshly grated parmesan with our caesar dressing. Fresh Roma tomatoes, cucumbers, celery, artichoke hearts, in a light dressing. Iceberg and romaine, tomato, carrots, red onions and croutons. Our pizza is made in the traditional Neopolitan style with a thin crust. Our sauce is made with fine Italian tomatoes, fresh basil and parsley, olive oil, garlic and oregano. It is topped with mozzarella and sprinkled with freshly grated parmesan. Small 10" / Large 16"
Mushroom, onion, olives, eggplant, bell pepper, zucchini. Neopolitan-style thin crust, fine Italian tomato sauce, fresh mozzarella. Choose one vegetable or protein. Choose two vegetable / protein toppings. Choose three vegetable / protein toppings. Choose four vegetable / protein toppings. Snap peas, red and green bell pepper, carrots, tomato, onion and zucchini. Fresh roma tomato, fresh basil and garlic. Fresh mushrooms, spinach and garlic. Fresh mushrooms, roma tomato, tender artichoke hearts, garlic and basil. Chopped fresh roma tomato, buffalo mozzarella, garlic and basil. Fresh mushroom, roma tomato, onion, garlic and basil. Fresh broccoli and fusilli with oil garlic or cream sauce. Small pillows of pasta stuffed with ricotta cheese. Olives, capers, mushrooms, roma tomatoes, artichoke hearts, tossed in Fra Diavolo. Ricotta filled pasta with marinara and mozzarella. Pasta shells filled with ricotta and covered with mozzarella. Eggplant, parmesan and layered mozzarella. Rolled eggplant stuffed with ricotta, covered with mozzarella. Traditional style with layers of meat, ricotta and mozzarella. Layers of pasta, eggplant, zucchini, ricotta and mozzarella. Served fresh vegetable and pasta. Boneless breaded sesame fillet topped with marinara and mozzarella. Served fresh vegetable and pasta. Boneless breaded sesame fillet with a white wine lemon-parsley butter sauce. Boneless breaded fillet with eggplant, marinara and melted mozzarella. Served fresh vegetable and pasta. Boneless chicken, fresh mushrooms, red and green bell peppers, sautéed in a white wine, fresh garlic and butter sauce. Served with pasta marinara. Boneless chicken stewed with fresh onions, mushrooms and marinara sauce. Served with pasta marinara. With mushrooms and marsala wine. Served fresh vegetable and pasta. Chicken breast sautéed with olive oil and capers in a white wine butter lemon sauce. Served fresh vegetable and pasta. All veal dishes are served with pasta marinara and fresh vegetables. Lightly breaded cutlets with eggplant, marinara sauce, parmesan and melted mozzarella. Lightly breaded cutlets, with marinara sauce and melted mozzarella. Sauteed in olive oil, capers and white wine butter lemon sauce. Available red or Mama D's clam broth sauce and pasta. Served in a red broth sauce with pasta. With pasta and fresh vegetables. Fresh garlic, butter, lemon and a white wine, served with aglio olio pasta and vegetables. Simply our best seafood dish shrimp, mussels, clams and calamari in a red broth sauce with pasta. Only the best for your guests. Feed your hungry Instagram feed.